Heat oven to 400°F. Spray 12x8-inch (2-quart) glass baking dish with nonstick cooking spray. Prepare potatoes for oven as directed on package in sprayed baking dish, using water, milk and margarine. Sprinkle potatoes with peas. Bake at 400°F. for 15 minutes. 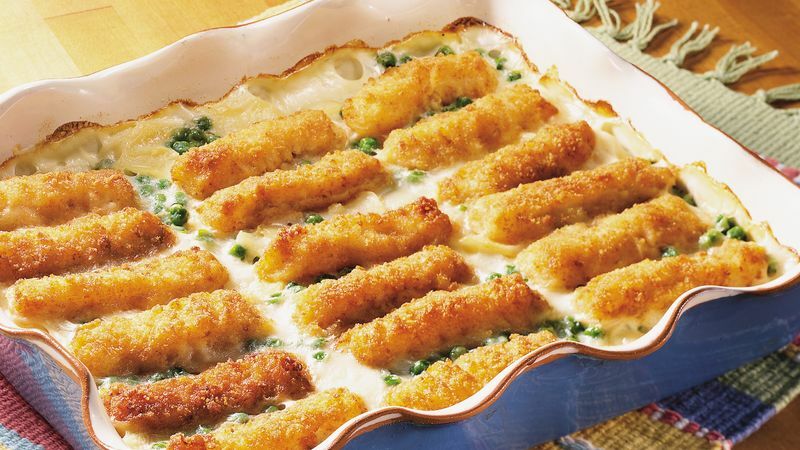 Arrange fish sticks over peas and potatoes. Bake an additional 20 to 25 minutes or until potatoes are tender.